Asker, Norway, June 6th, 2018 – The Athina Maritime Learning and Development Center, which has been recently established as the exclusive maritime training organization for Minerva Marine Inc. (a leading ship management company based in Athens), has signed an agreement with Kongsberg Digital for the supply of new state-of-art bridge, engine room and cargo handling simulators. 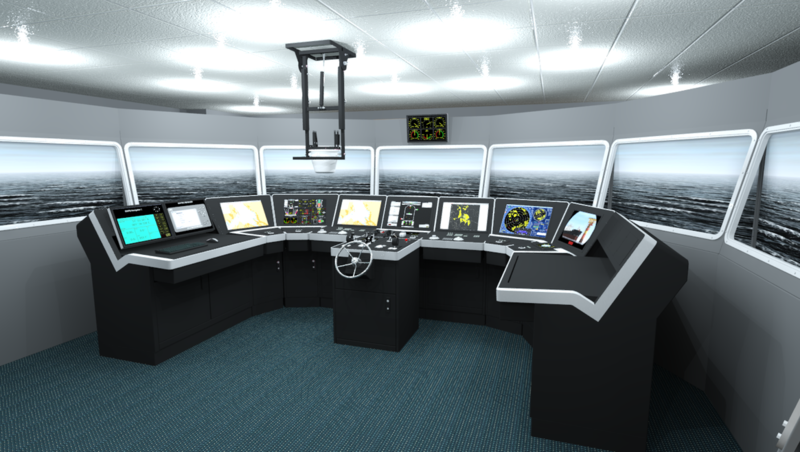 A dynamic portfolio of simulator-based courses designed to leverage the realism and pedagogical value of Kongsberg Digital’s simulator technology is under development by the Athina Maritime Learning and Development Center, with the aim of becoming a leading maritime training organization where “seafarers will always come first”. The Kongsberg Digital scope of supply is based on a completely integrated delivery of K-Sim Navigation Full-Mission Class A Bridge, K-Sim Engine Room and K-Sim Liquid Cargo Handling simulators. The integration between the simulators provides a unique ‘total ship’ learning experience enabling crew resource training for improved operational teamwork on board, supported by unprecedented physical and behavioral realism for all aspects. K-Sim simulators use advanced mathematical and sophisticated engine and hydrodynamic models that allow vessels, equipment and marine objects to behave and interact as in real life. Athina Maritime Learning and Development Center aims to become a world class training center, providing quality maritime education and training to seagoing personnel by seasoned professionals making use of state-of-the-art facilities being supported by an integrated maritime learning and competence development system. Kongsberg Digital is a provider of next-generation software and digital solutions to customers within maritime, oil and gas, and renewables and utilities. The company consists of more than 500 software experts with leading competence within the internet of things, smart data, artificial intelligence, maritime simulation, automation and autonomous operations. Kongsberg Digital is one of three business areas of KONGSBERG, an international, knowledge-based group delivering high technology systems and solutions to clients within the oil and gas industry, merchant marine, defence and aerospace, renewable energy and the utility industry. KONGSBERG has 7,000 employees located in more than 25 countries and total revenues of NOK 14.5 billion in 2017. Follow us on Twitter: @kongsbergasa.